Can you hear the sleigh bells ringing? It’s time to break out the decorations, visit family and spread holiday cheer. With so many events happening during this time of year, it can be difficult to know where to start! Here are some of our favorite holiday activities, all just minutes from Homestead. The Festival of Angels in Schertz has become a tradition for many families. This holiday extravaganza includes all of the classic holiday favorites wrapped up in one festive night. Grab a hot cocoa and enjoy live music as you browse the booths selling handmade crafts. Even the kids will have a blast meeting Santa, playing games or even sledding down Mt. Schertz, complete with real snow! What better way to kick off the holiday season than by lighting the Christmas tree at City Hall? Gather with family and friends to countdown until the tree comes alive with lights, enjoy refreshments and live entertainment, and spend some time with Santa Claus. Then, just a few days later, you can really get in the holiday spirit at the Holiday Parade. Stake out your spot in advance so you’ll have a perfect view of all the floats and decorated cars, and even the big guy himself! It just wouldn’t feel like the holidays without at least one drive around town to see all of the twinkling lights. Take it a step further this year and visit Santa’s Ranch, where you can drive through one of the biggest light displays in Texas! Over 1.5 million lights are on display, from traditional string lights on trees to elaborate gingerbread houses to classic nativity scenes. This is sure to be one display you’ll never forget! For a unique holiday experience, head over to the Natural Bridge Caverns and take part in the seasonal Christmas at the Caverns. Enjoy live caroling performances, wander through a maze in search of Santa’s reindeer, take a hayride and enjoy hot chocolate and s’mores. Plus, explore the Christmas Village and take a family photo in front of the 30-foot Christmas tree. And don’t forget to take a tour of the awe-inspiring caverns! Experience the San Antonio Zoo in a whole new way at Zoo Lights! 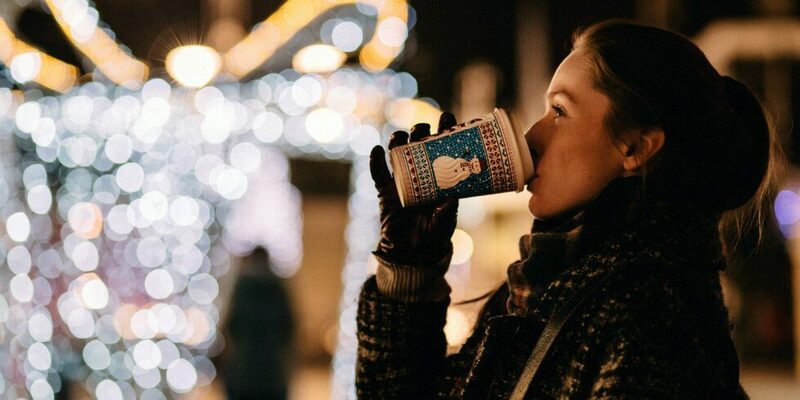 Stroll under an array of twinkling lights as you sip hot chocolate and learn about all kinds of animals. This special event also includes the opportunity to roast s’mores, visit with Santa, ride camels, go ice skating and so much more! The exclusive Lakeside Lightshow is one that’s not to be missed and is sure to put even the grumpiest Grinch in the holiday spirit. Located in Schertz and Cibolo, just a short drive to San Antonio, Homestead provides easy access to tons of entertainment and recreation options. Interested in learning more? Join our Founders Club to always stay up-to-date on Homestead news.